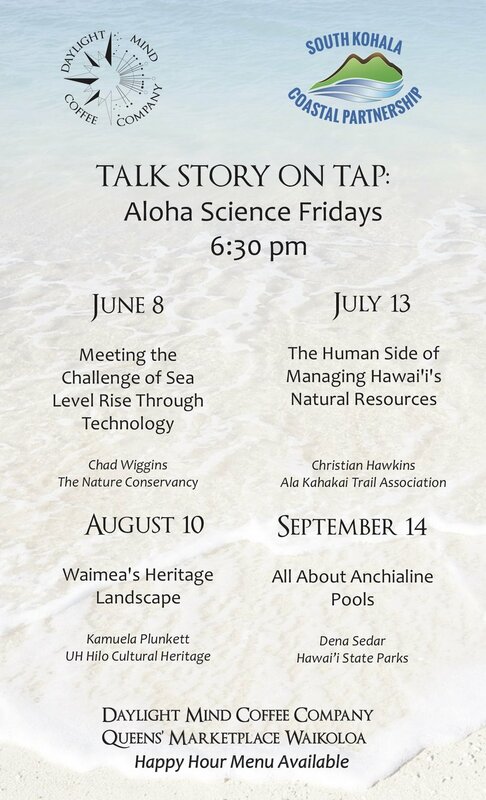 This month's topic is "Meeting the Challenge of Sea Level Rise Through Technology" presented by a partner of HWMO, Chad Wiggins of The Nature Conservancy. 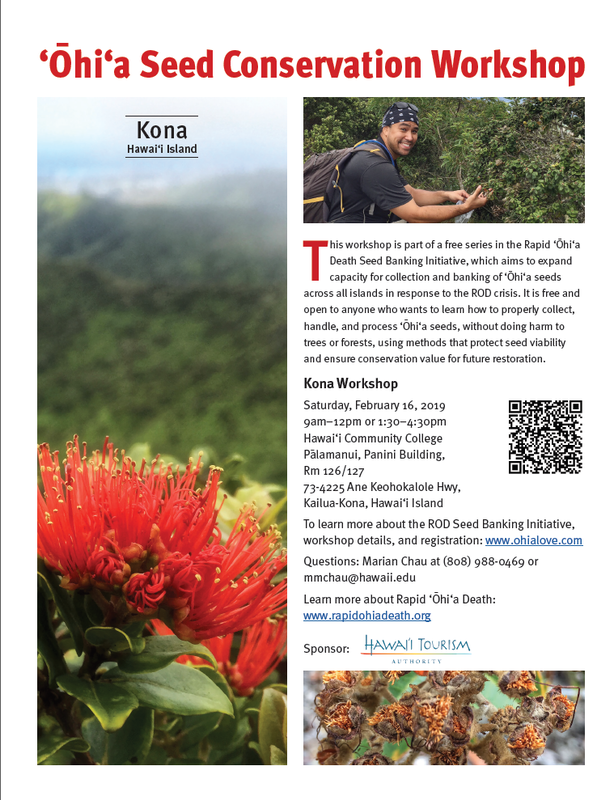 HWMO participated in the workshops that took place in Honolulu on April 24-25. 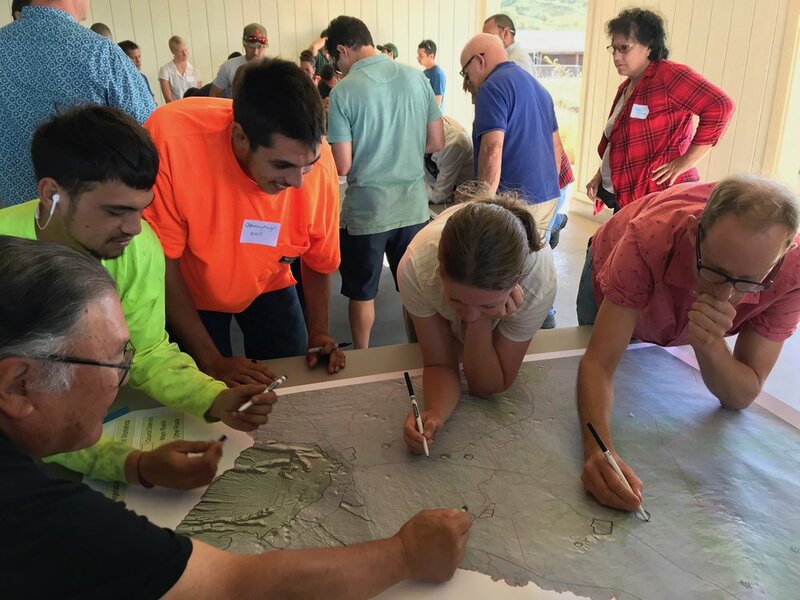 This is a great opportunity to not only learn about climate adaptation practices, but to share your input, especially if you can add your expertise on wildfires. Very well organized event, great people and connections, and delicious, healthy lunches...what more can you ask for? "Workshop Goal: The goal of these two-day workshops is to gather natural and cultural resource managers and practitioners to discuss options for managing resources in the face of climate change, and improve understanding of how vulnerability and adaptation information can be integrated into management and planning. Participants will develop climate-informed adaptation strategies and actions for priority habitats and ecosystem services on each island, and will leave with a prioritized list of actions that can be integrated into current and future management activities across agencies and organizations. Share your knowledge. Workshop activities and discussions will focus on developing climate adaptation strategies and actions to reduce vulnerabilities of priority habitats identified during the Climate Vulnerability Assessment Workshops. Find out what your colleagues and peers are doing and share your expertise in small and large breakout group discussions. Create new and enhance existing partnerships with other local practitioners. Participation in this workshop can help shine a light on potential areas for improved collaboration and cooperation on climate adaptation efforts. Be part of a process to prepare for climate change. What decision-making challenges are you currently facing? How might climate change affect the ability to meet your goals? What can be done to overcome climate-related challenges? Participants will work together to identify strategies and actions to improve resource management in a changing climate. Register: Each day of the workshop builds on the input and decisions of participants with an end goal of generating robust climate adaptation strategies and actions specific to each island's conservation community. To maximize workshop discussions and results, we request that you attend both days. 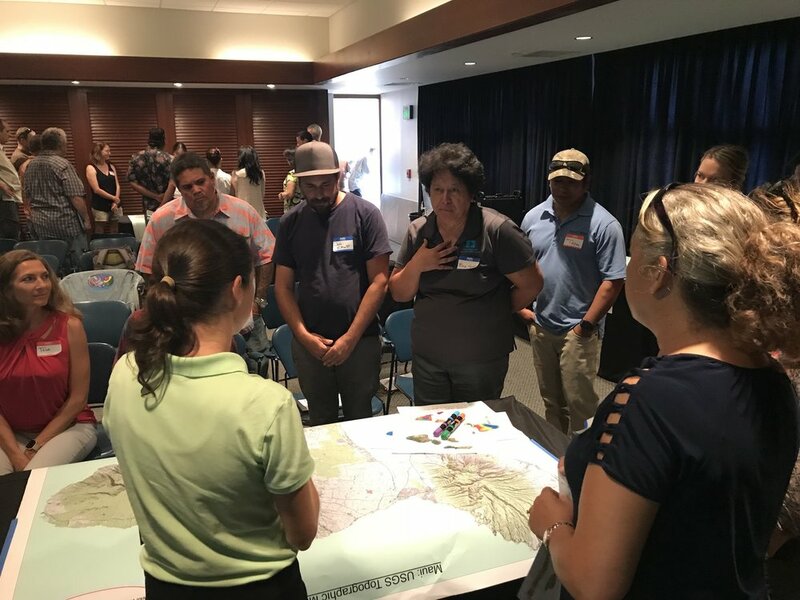 Each workshop is tailored to island-specific vulnerability assessments and management activities; please register for the workshop associated with the island(s) on which you primarily work. Questions? Contact Rachel M. Gregg at Rachel@EcoAdapt.org. " Hawaii Wildfire Management Organization (HWMO) will show how proper landscaping techniques and home structure modifications can protect property from wildfires. 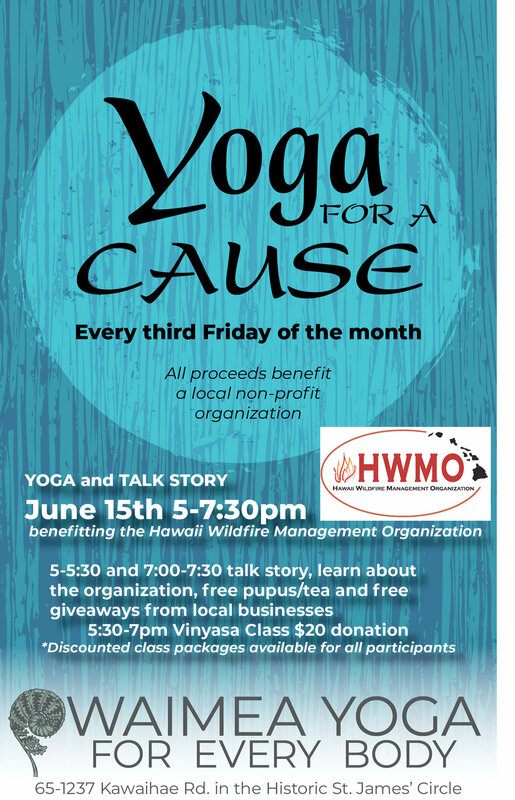 HWMO will also share information on how to develop a clear and achievable family emergency plan, what actions to take during a wildfire, and proper evacuation procedures. Great way to take part in Wildfire Preparedness Month -- join us at the Waianae Public Library and make sure to take photos and post to Facebook, Twitter, or Instagram using #WildfireReadyHI for a chance to win cool prizes from HWMO, DLNR Division of Forestry and Wildlife, Starbucks, Fairmont Orchid, and WaveWing surfing fins.